Vietnamese lullaby from north, central and south of Vietnam. A great Vietnamese folk music which can be used for bed time music! Singing lullaby for babies is a common way to help the child sleeping. The soft melody in lovely slow pace with the pampering touches of the mother is the great way to sooth the baby. The songs also carry the mother's thoughts and wishes for the baby. Singing lullaby, Vietnamese mothers want to teach their children about the life, the morality, the goodness, and the way of being a good person. These songs folk songs are sung from generations to generations in Vietnam. 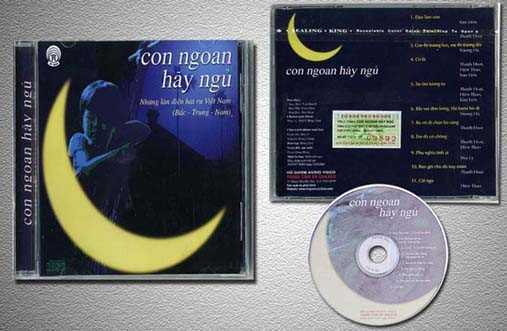 The songs are sung by Thuy Mui, Kim Dung, Hoang Thanh and Thuy Dat.